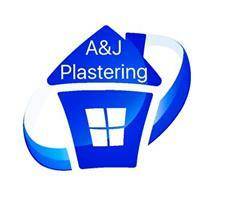 A And Jay Plastering - Plasterer based in Chadderton, Greater Manchester. A and Jay Plastering is a family run business with a wealth of experience in many aspects of plastering for over 45 years we have been running since 1982, constantly building professional relationships with many customers who in many cases are asking us to return. A and Jay Plastering are always conscious of our customer’s needs, as we believe they always come first. In line with this we strive to display the highest standard of workmanship, whilst remaining courteous from quote to completed stage, we aim to always be punctual, professional and tidy upon completion of any works. This is because we take great pride in our work and treat every home like it is our own. Over the last 36 years, we have completed works in many homes in the Greater Manchester area, many of which can be found in our reviews. We are also pleased to provide free estimates and can offer both Domestic and Commercial services. If the service you require is not listed above, please feel free to contact us and we will be happy to provide you further information. Give us a call today to transform your old rooms and make them like new!